Jose Antonio has been involved in international education for the last 25 years. During his career, he has held positions in non-profit educational development organizations such as the Fulbright Faculty Development Program at Harvard University, the Ford Foundation, the Venezuelan Ministry of Education Scholarship Program and in other for profit organizations in the US and UK. Through those experiences, Jose has been responsible for various facets of the overall management of educational institutions including school operations, marketing, sales and recruitment as well as product development. For eight years, as Vice President of Sales, Jose led Kaplan English Program’s sales team worldwide as the organisation grew organically to become a significant international presence. As US Managing Director of Kings Education, Jose Antonio is responsible for all aspects of US operations including the management of the English language schools; Kings Pathways centers on university campuses; university relations, admissions and compliance; and product development. Jose is also involved in student recruitment from North Asia, Latin America and Turkey. 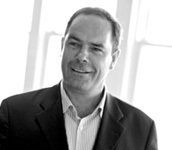 Andrew has enjoyed a career of over 25 years within many aspects of global communication. He has held various positions in advertising, marketing and communications, working for both specialist agencies and large corporations, including The Gillette Group. For eight years, as Group Communications Director at Study Group, Andrew was responsible for developing all marketing materials for the organisation and its various schools and colleges. 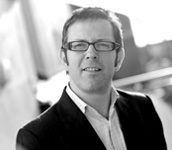 At Kings, Andrew oversees all aspects of marketing communications and brand management across the group. He heads a central marketing team responsible for print and digital marketing; video and photography; online campaigns and social media. He also oversees the development of physical environments across the group. Andrew is additionally responsible for the overall IT strategy for the Kings Education group including the development of a blended learning platform, as well as the Kings Social Responsibility programme. Andrew was educated at Oxford University where he studied English Literature. Andrew has over 25 years' experience in international education within the sales, marketing and market development fields. With an early period spent teaching in Greece and co-owning a language school in France, Andrew subsequently spent 12 years of his career at Study Group, initially in operational roles culminating as Group Sales Director. Andrew co-founded Prime Education in 2007 which acquired the Kings group in 2008. As Director of Recruitment, Andrew’s main responsibility involves overseeing the sales development process and building enrolments from over 60 source countries globally. He manages a group of experienced Regional Directors, each with in-market specialism, to develop brand awareness and applications through multiple recruitment channels. Nigel has worked in the international education sector for over 30 years with long periods of operational management experience at both EF and Study Group. His last position at Study Group from 1999 to 2006 was as Managing Director, UK – a role which incorporated the school operations of Bellerbys College and Embassy CES. During his tenure the UK division at Study Group became the largest in the group as well as contributing the largest share of profit contribution. 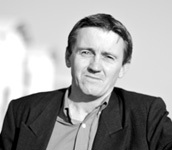 Nigel joined his fellow co-founders of Prime Education in 2008. 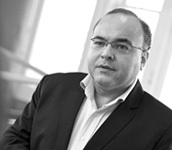 At Prime Education, he combines the role of Managing Director, UK with Group Commercial Director. In the UK, Kings has three locations offering both academic pre-university programmes and English language courses. In addition, the Kings Summer division delivers short-term course to juniors. In 2017 the UK division plans to open a new college in Brighton as well as International Study Centre on the campus of Downside School, near Bath. In his Group Commercial Director role, Nigel oversees group finances as well as all commercial agreements and contracts.